HEF receives largest donation in district's history - Hamilton School District. Thanks to the generosity of a local grandmother, dozens of Hamilton High School graduates will have the opportunity for postsecondary education they might not otherwise have been able to afford. At the district’s Back-to-School Breakfast Aug. 29, Superintendent Kathleen Cooke announced establishment of the Hamilton Education Foundation’s Marjorie Wrezic Scholarship. Beginning in the spring of 2014 and continuing indefinitely into the future, scholarships in the amount of $4,000, renewable for a second year, will be granted. Based on market return, more than 50 scholarships are likely to be granted. 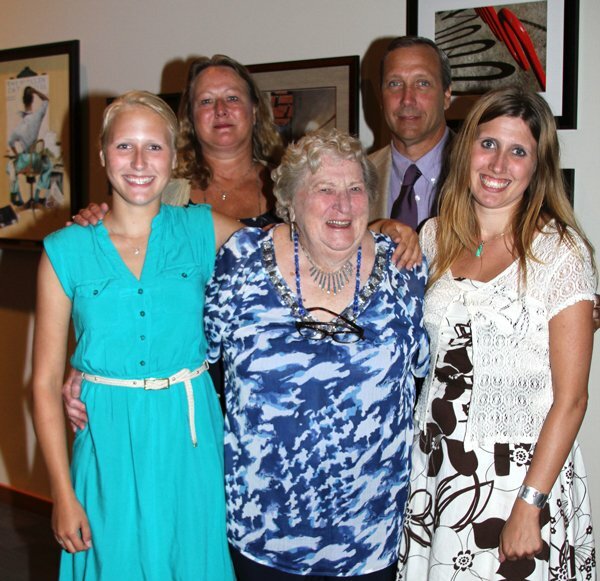 Marjorie Wrezic, grandmother to two Hamilton graduates and one current high school student, approached the Hamilton Education Foundation to set up the scholarship program because she was impressed with the quality of education her grandchildren received at Hamilton. She wanted to honor the memory of her husband, Ralph Wrezic, a successful self-made businessman who recognized the value of hard work and determination. 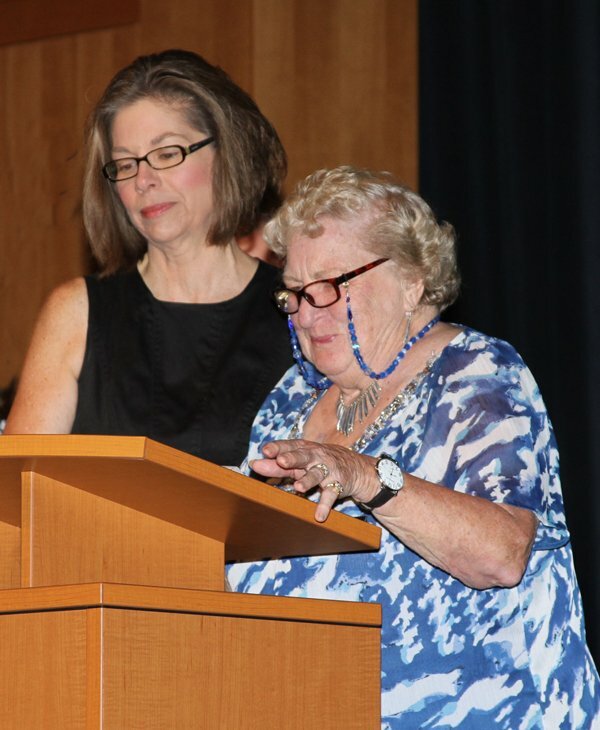 At the back-to-school event, Cooke introduced Marjorie Wrezic and then asked specific teachers who taught her grandchildren to stand and be recognized for inspiring Wrezic’s generous scholarship program. Hamilton Education Foundation Chairman George Semrad said establishment of a scholarship program for Hamilton graduates will complement HEF’s more than 20 years of fundraising efforts to provide resources that allow students to participate in innovative learning opportunities during their school years. Charger Challenge will be held Sept. 15 at Lisbon Park and the Dinner-Auction will be March 22. The scholarships will be available to Hamilton seniors who plan to enroll in postsecondary education as full-time student with a demonstrated financial need. Students must have at least a 3.5 grade point average, be a U.S. citizen and demonstrate community service through extracurricular activities, work, religious or volunteer activities. Hamilton School District staff members give a standing ovation to Marjorie Wrezic. and son-in-law, Gwen and Mike LaFond.